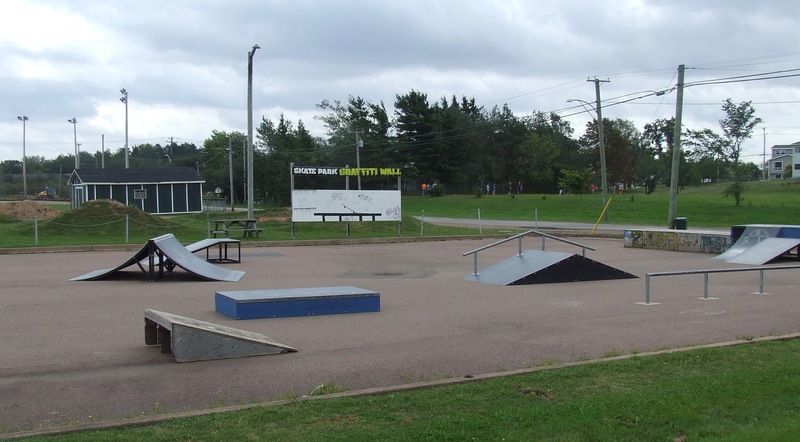 The 20-year-old Sackville skateboard park will be getting a big upgrade this fall if town council approves a $23,000 expenditure for a 30-foot long, 12-foot wide and four-foot high galvanized steel structure known as a half-pipe. At their meeting this week, councillors were told that the Canadian Ramp Company was the low bidder on the project and that the money would come from the $150,000 the town was awarded as part of New Brunswick’s Canada 150 provincial grants. Councillors will be asked to approve the project at their next meeting on September 11th. “As a skater, I’m really excited for a half-pipe in Sackville,” said Councillor Andrew Black. He added that when he was a kid, there were two plywood structures downtown. Black predicted that as Sackville’s skatepark develops further, people will travel from other areas such as Moncton and Amherst to skate here. Judging from a search of archival articles in the Sackville Tribune-Post, the town’s skateboard park has evolved slowly over the past two decades. “When a bylaw was introduced in 1996 prohibiting the use of skateboards on town streets and sidewalks, the town set up a temporary park for skateboarders in the parking lot of Atlantic Wholesalers (now Moneris),” the newspaper’s Katie Tower reported in November, 2008. “This served the purpose until the new $25,000 park was built in 1997 on Dufferin Street, a year after a group of local skaters approached town council asking for a safe and suitable place to enjoy their sport,” she added. Along with the installation of the new half-pipe, town staff are proposing to spend an additional $10,500 of the provincial grant money to expand the park slightly and perhaps, spruce up some of the existing equipment. This entry was posted in Town of Sackville and tagged Andrew Black, skateboard park. Bookmark the permalink. I agree with Councellor Black that kids get hurt often (I have been a city street roller blader for years, even under shelling, and I survived…). This being said, what is the size of our skatepark population? Do Sackville youth have continued interest in the park since its opening? I am curious. Are more funds required for future maintenance? Is this park usually supervised? And are there extra costs related to liability (insurance)? Finally, how about adding an inexpensive yet priceless Canadian signature to that project/park (eg., decoration? Flag?). I say this because the funds would come from the “New Brunswick’s Canada 150” grant :). This is great news. Please repave and ‘re organize what is already there as well. The structure s that are there are great just hard to get speed to roll up when the ground is so very rough. I would also suggest a 3 foot ramp instead of a 4. Safer and more use will be gotten out of it. Cheaper also. Every park has features that are too big and dangerous for the kids living in the town. Amherst spent all that money on a huge halfpipe and a big wallride feature and how much does it get used? By using what you already have and expanding you could make a great skatpark in sackville that people would come and skate. Cloyde, when you have a respectable skatepark with normal sized ramps, kids become better and get used to riding big ramps. Visit any “real” skatepark out in California or BC and you’ll see 12-year-olds ripping up 11 foot quarterpipes instead of kids getting tired and displeased with the tiny Canadian Ramp Company ramps. Remember, kids can always air below the coping on a 6-ft ramp, while someone with 1 year of skill is going to grow defeated by always having to ride a 3-ft ramp that’s too small to air or take their speed as they ride up to it. Also, and also adding to the point in the main article, people travel for skateparks like Moncton & Amherst. I’ve personally travelled to Amherst because of their skatepark. 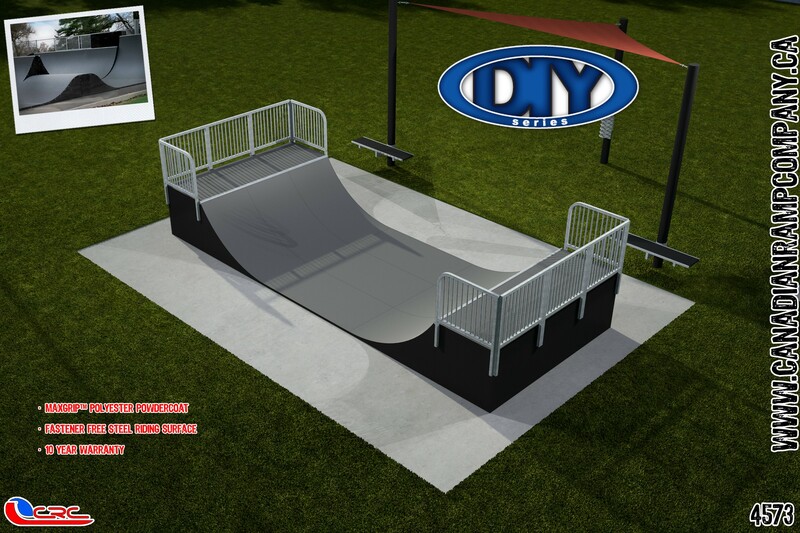 If you put in a 3-ft Canadian Ramp Company mediocre halfpipe, that isn’t going to make anyone visit your town for the skatepark. Why would you stop in Sackville for a crappy CRC ramp instead of going to Moncton or Amherst? Does anyone goto Moncton or Amherst for the big expensive very. I have been to at least 30 skateparks all across Canada. You all ways see the same thing. Massive very obstacles never being used. Prime example is the concert full pipe at millennium. You don’t build a skate park to attract people from other areas imo. You build them to give locals something to do. Anyways doesn’t look like anything is being done anyways.